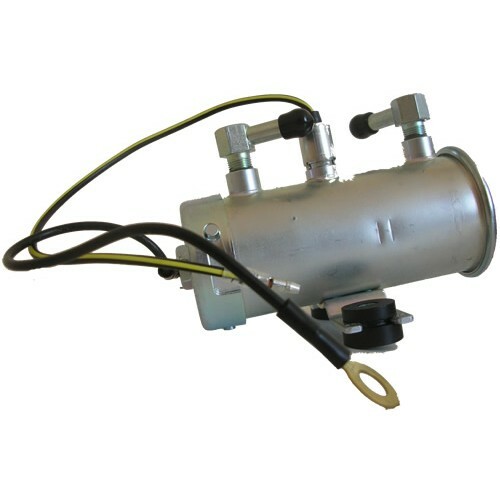 Home/Fuel Pumps/Cylinder Fuel Diesel Pump 12 Volt JCB, Kubota, Volvo, Caterpillar and Thwaites. 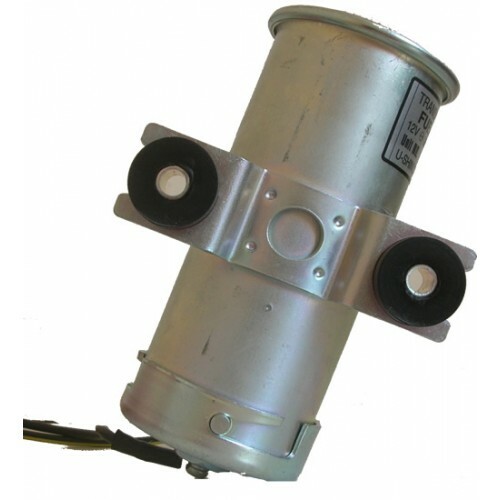 This cylinder type fuel pump is a highly reliable unit used by original engine manufacturers and is further installed by many original equipment manufacturers. 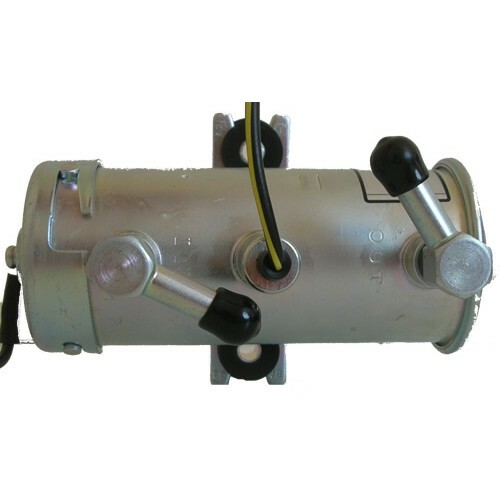 This pump also has an interchangeable fuel filter, used on JCB, Kubota, Volvo, Caterpillar and Thwaites. 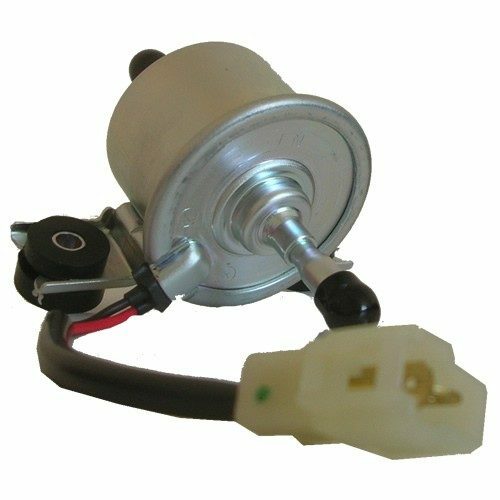 The U-Shin brand of fuel pump is currently used by a wide range of worldwide manufacturers including Volvo, Yanmar, Thwaites, Ausa, Takeutchi, Bob Cat, Newson, Mitsubishi, Suzuki, Hino, Kawasaki, Hitachi, Cat, Isuzu, Thermo-King, Lombardini, Pel-Job. The cylinder pump has a higher suction and delivery pressure than the compact type thus enabling a more complex fuel line layout. It will also deliver a high volume of fuel. The unit also comes complete with an inbuilt paper fuel element filter, which can be changed easily. The pump can be fixed directly or the rubber mount fixing can be used to reduce vibration and ensure long life is achieved. Please see data sheet. Industrial machinery loading small gasoline and diesel engine (As gasoline engine displacement standard, it is appropriate to a vehicle equipped with 2000-3000 cc carburetor). Construction vehicle, power shovel, bulldozer, wheel loader, etc. 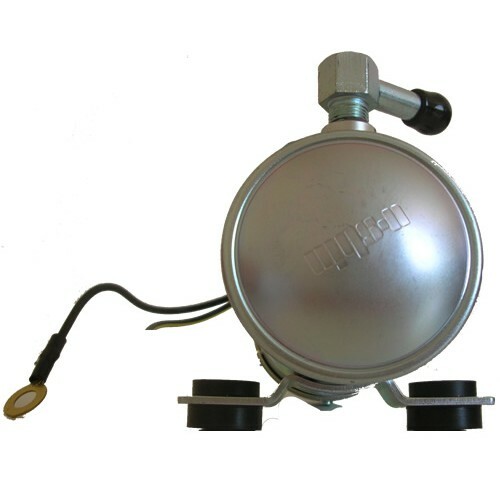 This cylinder type fuel pump is a highly reliable unit used by original engine manufacturers and is further installed by many original equipment manufacturers. 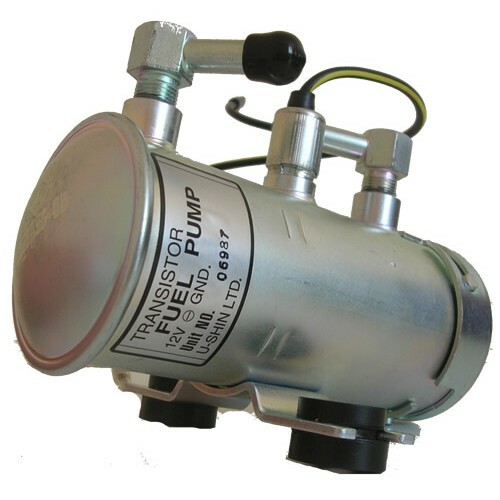 This pump also has an interchangeable fuel filter.